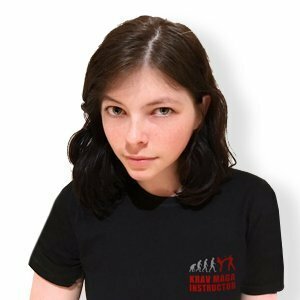 I first started training in Krav Maga in my first year of high school because I wanted to learn how to defend myself. Without intention, I ended up making Krav Maga a regular part of my life. Not only is the tactical knowledge a great aspect, but the engaging and physical workout that comes with a class as well. I started helping my mom, an experienced instructor, teach during the women’s seminars and soon found that teaching was even more rewarding. Going through CIC I learned so much on what it means to not only be a teacher but a student as well. I believe everyone should have the confidence to walk alone and stand tall.